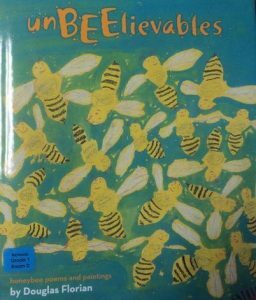 Inspired by Douglas Florian, writers in Room 123 will be creating their own book of insect poetry! 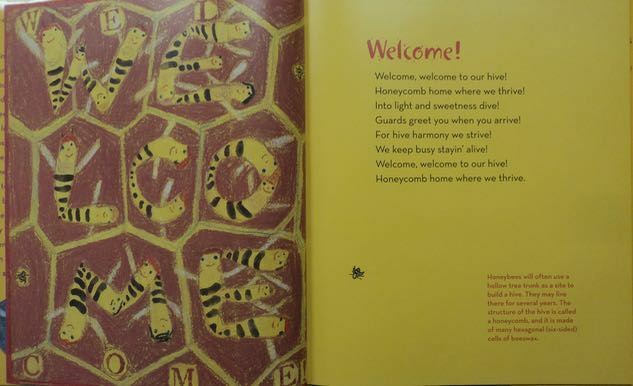 Each student will write a poem and fact about an insect, as well as creating an illustration to match. To do so, however, they first had to become experts about the insects they chose to write about. Students used Pebblego to research their insects. 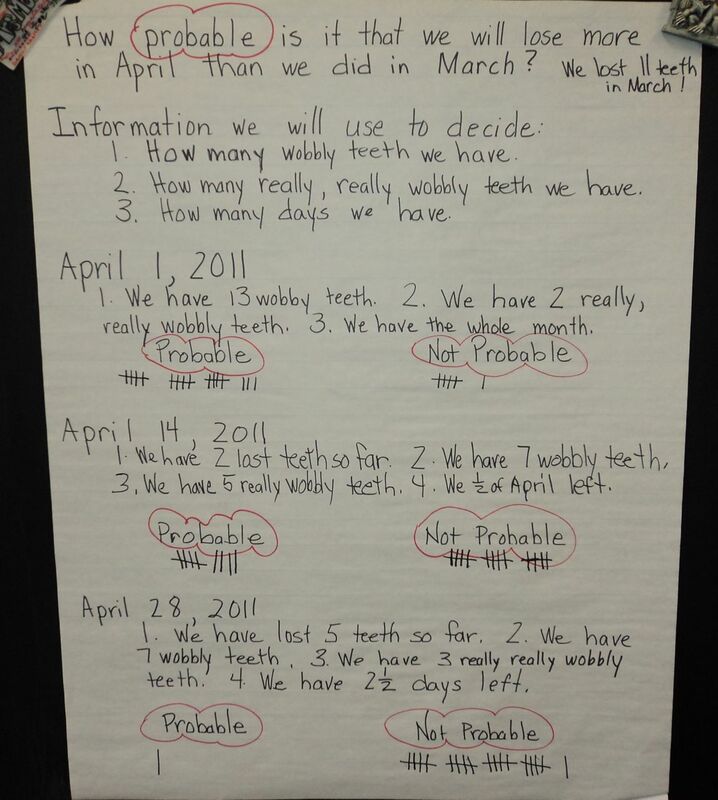 Take a look at this first step in the writing process! 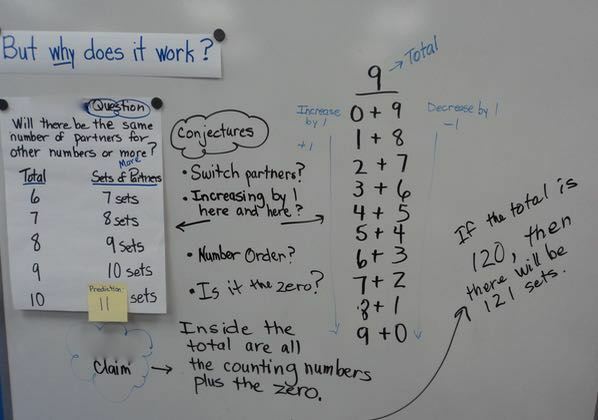 Even seemingly simple problems can offer opportunities for deep mathematical thinking and justifications. 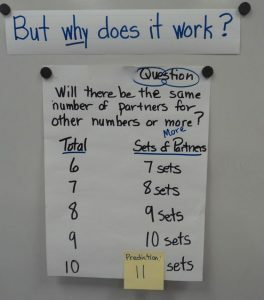 Over the last week, for instance, mathematicians in Room 123 have explored partners of numbers through 10. As they worked, their challenge was to find all the possible partners for a given total. 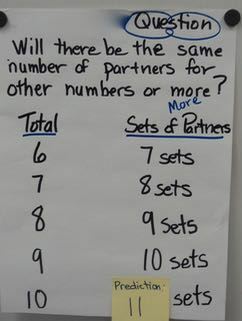 When students shared out their solutions after finding partners for five, one student had a question: Will there be the same number of partners for other numbers or more? As they continued their work finding partners for larger numbers, they noticed a pattern and then used the pattern to make predictions. Then I challenged the class to explain the pattern. 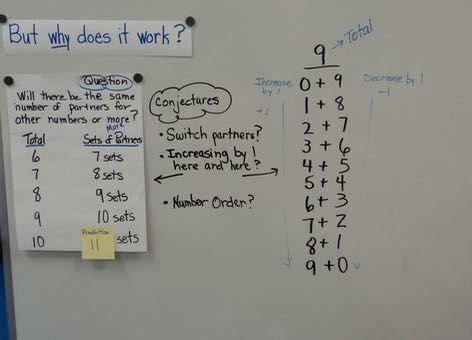 After talking in pairs, students offered some conjectures, but were not yet able to fully explain why the pattern worked. After lunch and specials, the student shared her claim. 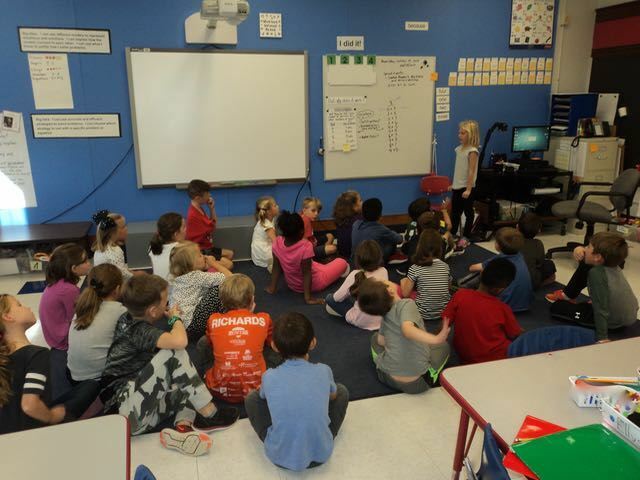 She justified her thinking and convinced the class! 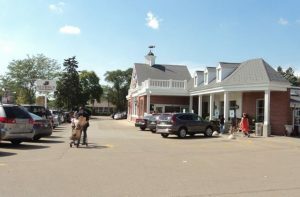 Most students in Room 123 recognized the WFB store, but they couldn’t figure out why I was showing them a picture of it at the start of a math lesson. Then I explained: My daughter works in the floral department at Sendik’s and she is hoping you can help her solve a problem. 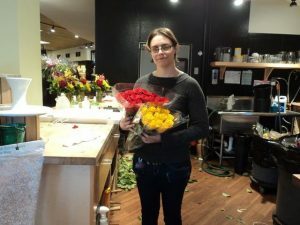 Nora’s boss asked her to use red and yellow roses to make bouquets. Each bouquet must have five roses. Now, some customers like more red roses in their bouquets and some like more yellow roses in theirs. Nora needs to make as many different color combinations as she can, so her customers have lots to choose from. But she’s not sure how many different bouquets she can make. She hopes you can help her figure out this problem! 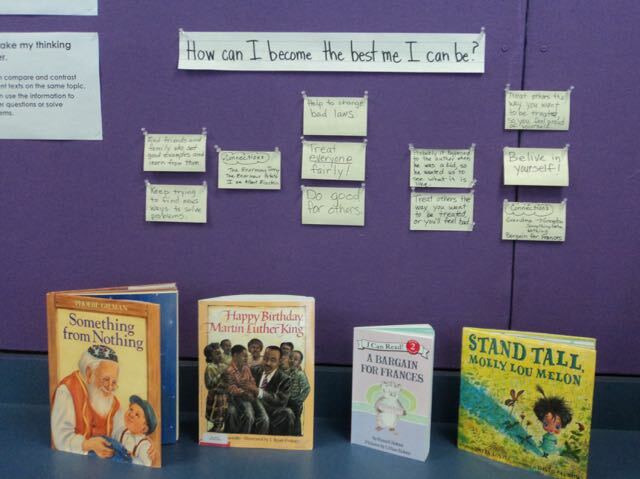 In a recent comprehension unit, readers in Room 123 inferred lessons from fiction texts to identify ways they can become the best they can be. 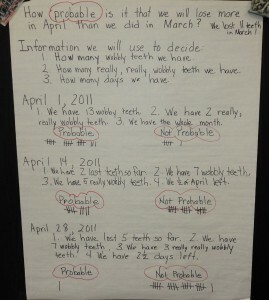 Then, they drew on their own experiences to write personal narratives about times when they learned important lessons. They crafted their narratives using leads, details, and conclusions. They first shared their writing with classmates during Popcorn & Publishing. Later this month, they will share their lessons with others in digital and hard copy formats. Watch for updates! 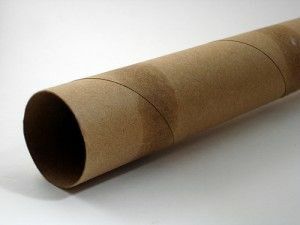 Mathematicians in Room 123 need empty paper towel tubes for a special project. We appreciate your help in gathering them!